Google is the giant single entity is the search engine world and most popular in almost all the countries around the world. It is very common that people do use Google.com in case they are in some trouble and try to find out the solutions or seeking information for anything and everything. Here is why Google has made a special place in all of the internet users' hearts. Google knows everything about us when we use the credentials of Google account while on internet. Do we really know everything about it? 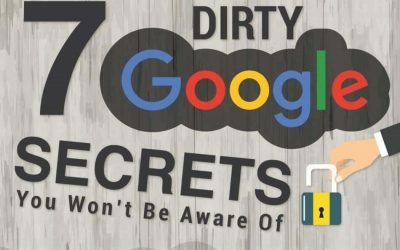 Here are some of google’s dirtiest, darkest secrets that you should know.